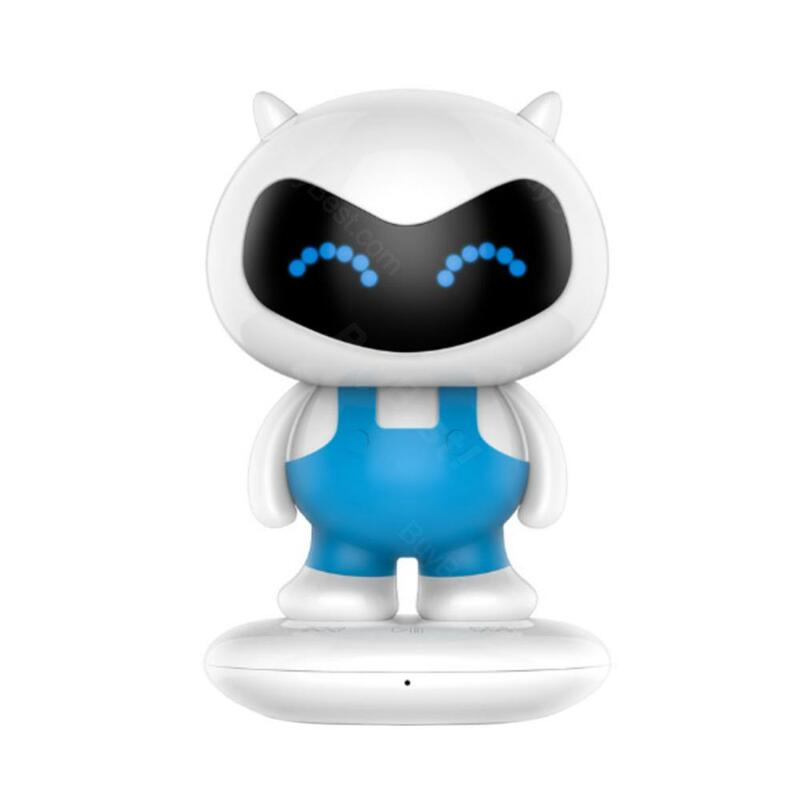 The Cute Robot Mini Bluetooth Speaker has the bright blue light LED light which will show youthful vitality. It supports AUX audio input and can be connected to MP3, mobile phones, computers and other audio equipment. • Cute Look: A small body contains great power,The best gift to your friend. Pretty darn good thing, for what it is: an inexpensive speaker that works well at close range (i.e. not too far from your ears). I use it on a desk where I'm working, on a nightstand, or in a small meeting where I want to share audio. It's a good tool for that kind of stuff, but probably not good for many other kinds of listening.. I bought this unit on the recommendation of a friend of mine. I was looking for something that I could use to stream music around the house or out on the patio, and this works great! The sound quality is very good, with great sound separation, clear highs, and deep bass. Excellent.. Phenomenal sound, quality and super efficient, love that it is small, portable and can carry it like a purse! Cheap and lovely robot speaker for boys.